FORS 495/595 Prescribed Fire Practicum is offered through the FireCenter and the Forest Management Department at the W.A. Franke College of Forestry and Conservation. It is an intensive field course providing students with technical training, practical applications, and theoretical foundations in ecological burning for restoration purposes. The FireCenter is now accepting applications for the course this year. 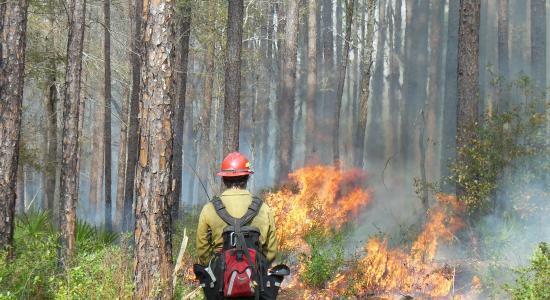 The Prescribed Fire Practicum is an experimental class designed to provide students from The University of Montana with technical training, practical applications, and theoretical foundations in ecological burning in the Southeastern United States. The class supports longleaf pine restoration on The Nature Conservancy (TNC) and Georgia State lands. 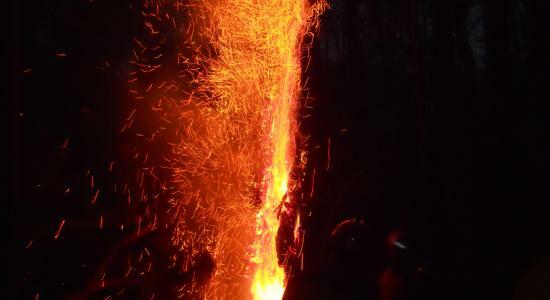 Faculty from the College of Forestry and Conservation’s FireCenter lead undergraduate and graduate students through a two-week curriculum of prescribed burning and supporting field and academic work. Before burning starts, students review literature documenting ecosystem function and evaluate burn plans based on this literature, and read land management plans and landowner guides. 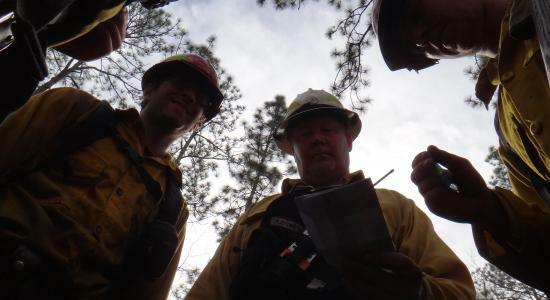 During the practicum, students participate in field trips with the TNC ecologist and forest manager; interpret and monitor burn plans to meet ecological objectives; monitor fire behavior, weather and effects; map burn units in the field and digitally; perform briefings and after-action reviews; maintain daily written and photo journals; compile written synopsis of experiences; and prepare post-trip reviews and evaluations (oral and written). Like the surrounding Georgia State lands, TNC's Moody Forest is a longleaf pine-blackjack oak forest. In the 1700’s, longleaf pine covered as much as 90 million acres in North America; today, less than three percent of that forest remains. The longleaf pine forest hosts the most diverse array of species among forested ecosystems in North America; many of those are threatened or endangered species. Hence, The Nature Conservancy and others are trying to protect and restore the remaining longleaf pine forests across the southeastern U.S. 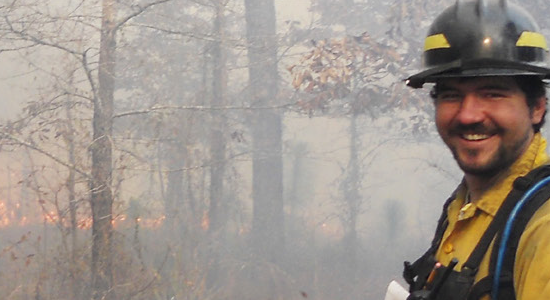 The FireCenter's partnership with TNC gives students an opportunity to practically apply their fire training and education and helps TNC to meet restoration and research objectives. Participating students all have experience as wildland firefighters and are studying forestry or natural resource management. This course gives them the opportunity to assume positions of leadership that their normal fire assignments might not. Through the Practicum, the students are exposed to a variety of land management objectives and fire environments, which will help to make them more dynamic fire managers.